Domingo started his own law practice in 1983 with his sister as the only staff and within just two years, the firm grew to four attorneys. Today, 35-years later, Domingo has established a thriving multi-million legal network with offices in Dallas, Houston, Tyler, and Odessa. His staff includes more than 150 employees handling an array of wide-ranging and significant legal cases. Domingo’s first legal victory happened in in 1995 when a jury decided in favor of his client who was the victim of a drunk driver and awarded $1.1 million. In 2004, he won a six-million-dollar settlement on behalf of the family whose 14-year-old son was tragically electrocuted in the swimming pool of an apartment complex. In 2014, he achieved a $5.7 million-dollar victory for a Dallas police officer who was negligently struck by a van. 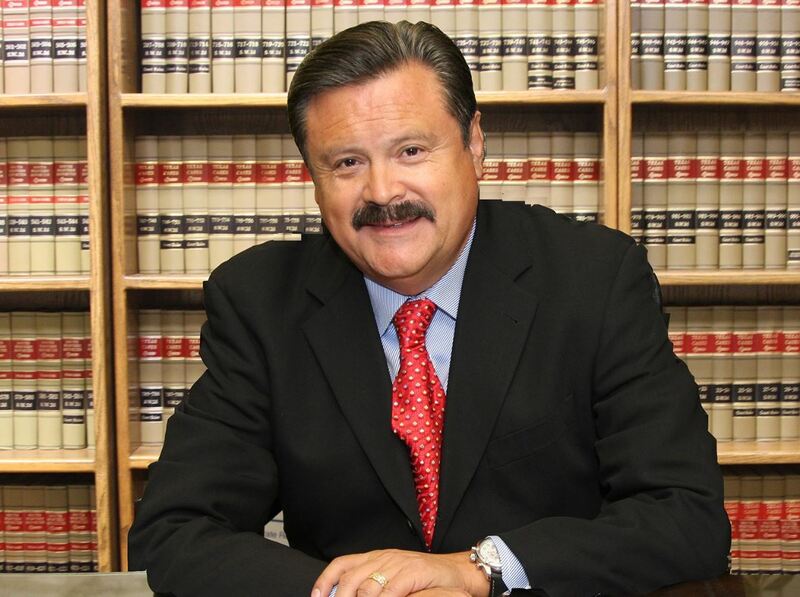 In addition, Domingo’s top-notch legal team has been awarded multiple million-dollar settlements and does extensive trial work throughout Texas. In addition to civil litigation, Domingo has been involved in important civil rights legal work. He was instrumental in the lawsuit against the City of Dallas which led to the creation of single member districts to ensure more equitable political representation. In 2010, he was an integral member of the Texas Latino Redistricting Task Force (TLRTF) which fought gerrymandering by the State of Texas against Latino communities. The TLRTF filed suit along with MALDEF and achieved important concessions destined to also benefit future generations. In addition, Domingo has represented many clients Pro Bono on numerous workplace discrimination cases. Among Domingo’s contributions to assisting victims of a dysfunctional immigration system is the work performed by his team at the law firm’s offices in Tyler and Odessa. Specialists at these two centers advocate for immigrants with a variety of legal needs. Also, they have assisted thousands of client gain protection under DACA and continue to champion the rights of Dreamers living in the United States. Mr. Garcia’s life is that of a self-made success and public service spanning decades of hard work and sacrifice, a son born of Mexican immigrants who earned his way from shoeshine boy to the Statehouse of Texas as an elected lawmaker. From newspaper boy, he rose to become one of Texas’ most visible newsmakers, as the youngest Mayor Pro-Tem of Dallas, one of America’s top 10 cities. From a busboy who dreamed of his own future, he went on to protect America’s Dreamers as author of Texas’ laws, the first in the nation to protect immigrant students, after receiving his B.A. in Political Science from the University of North Texas in 1980 and his Doctor of Jurisprudence degree from Texas Southern University in Houston, Texas in 1983. From a young man who grew up listening to his parents’ stories about life in Mexico, he went on to win a scholarship to study at the El Colegio de Mexico in Mexico City where he earned a Masters degree in International Relations. Indeed, the depth and breadth of his life have enabled Domingo to also serve as an editorial columnist and broadcast commentator as well as a highly-successful trial lawyer for thirty years. Domingo Garcia was born in Midland, Texas, the epicenter of the famed oil country of the Lone Star State. Like many of the families who settled and tamed the vast prairies of the West, his parents brought together the history of Native Americans, his mother Manuela Garcia Cano, a 17-year-old Apache and Alberto Garcia, a young immigrant from Coahuila, Mexico who came to the United States stake his claim for a better future for himself and one day, his family. Domingo grew up in those oil fields of North Texas where he attended public schools and graduated from Berkner High School where he excelled in competitive sports. Education has always held a special place in Domingo’s heart, a quest instilled in him by his parents since he was a young boy. However, their humble beginnings did not afford him a paid path to higher learning yet Domingo was undaunted. He worked his way through college doing concrete construction jobs in the summer and as a waiter during the academic school year to realize his dreams. His perseverance enabled him to graduate with a B.A. from the University of North Texas where his outstanding scholarly achievements earned him a Beca de Aztlan and he attended the Colegio de Mexico in Mexico City. There, he obtained a graduate degree in International Relations which could easily ensure Domingo a lifetime of financial success and wealth. However, his desire to help others and his passion for justice ignited a fire within him to become an attorney which led him to enter the Thurgood Marshall School of Law in Houston, Texas. Domingo held down multiple jobs to pay for his education and he excelled among his peers at the nation’s only historically black law school. Later, he continued his path in higher education attending Harvard where he distinguished himself as a graduate of the HACR Corporate Governance Program in 2005. Domingo’s education and his dedication to social change compelled him to enter public service to have a greater voice in the lives of those he wished to help. · In 1988, he was elected to the Democratic National Committee, one of the youngest Latinos ever in this capacity. · In 1991, he was elected to Dallas City Council at age 33, the youngest councilmember at that time and was subsequently elected by his peers to become Dallas’ first Latino Mayor Pro Tem. · As City Councilman, he was the author of the first in the nation Latino Cultural Center funded through a bond measure for which he successfully campaigned. · Also, Domingo authored the first anti-stalking ordinance to protect women who were victims of domestic violence. · Further, he was among the first public officials to support LGBT community by voting to allow gay and lesbian candidates to become members of the Dallas Police Department. · In 1996, he was elected State Representative of one of the most important and diverse communities in Texas and served from 1996 to 2002. · Among Domingo’s legislative achievements was co-authoring HB 1403, the landmark Texas DREAM Act which cleared the way for in-state tuition to any graduate from a Texas high school, irrespective of the student’s immigration status. Domingo went on to share this measure with California State Senator Gil Cedillo who successfully gained passage a similar measure, SB 1460 in August, 2010. · On April 9, 2006 Domingo was the leading organizer for the largest civil rights march in Texas history. On that day, more than 500,000 people marched peacefully through downtown Dallas in support of comprehensive immigration reform. · Domingo is an active member of his community having served on multiple boards and commissions including the Dallas Redistricting Committee, Phoenix Project, Teatro Dallas, and as President of LULAC Council 102. · He began hosting monthly Chorizo and Menudo Breakfasts in 1993 as community civic forums open to the public and these continue through the present day and are have expanded to include Ft. Worth, Houston, and Phoenix. · Domingo is a former editorial writer for the Dallas Times Herald and is currently on “Inside Texas Politics” as a regular contributing political commentator on ABC News in Dallas. He is regularly featured on numerous network and local news talk shows on CNN, Fox, MSNBC, Univision, and Telemundo.